Unfortunately, Florida is a great incubator for mold, with high humidity and plenty of rain almost year round, mold can’t help to grow just about anywhere. Mold spores occur in the indoor and outdoor environments, and there is always a little mold everywhere in the air. Molds are very common in buildings and homes and will thrive anywhere indoors where there is moisture. The most common indoor molds are Cladosporium, Aspergillus, Penicillium, and Alternaria. Florida has many schools, couple that with our wet and humid climate, it’s only natural mold problems can cause problems in our schools. When mold spores drop on places where there is excessive moisture, such as where leakage may have occurred in roofs, pipes, walls, plant pots, or where there has been flooding, they will grow. Ironically, children can even bring mold spores into a school on their clothing. Even faulty HVAC systems can be at the root of mold problems in schools. School provide all the materials which are the ideal nutrients that encourage mold to grow. Moist cellulose materials, paper products, cardboard, ceiling tiles, wood, and wood products. Even everyday materials such as paint, wallpaper, insulation, drywall, carpet and upholstery, commonly support mold growth. Spores in the air outside also attach themselves to people and animals which become another way mold can find its way indoors to incubate. While everyone is familiar with the term “toxic mold”, it’s not really accurate. While certain molds are toxigenic, meaning they can produce mycotoxins. Stachybotrys chartarum is a greenish-black mold, sometimes referred to as “black mold”. It grows on material with a high cellulose and low nitrogen content, such as fiberboard, gypsum board, paper and lint. Growth occurs when there is moisture from water damage, extreme humidity, water leaks, condensation, water intrusion and flooding. Constant moisture is required for its growth. Hazards presented by molds that may produce mycotoxins should be considered the same as other common molds, and all molds should be treated the same with respect to potential health risks and removal. Florida is a great environment for mold, and schools have all the ingredients to develop mold. If mold is extensive inside a school your child can be exposed to very high and persistent airborne mold spores. The good news for parents is unless your child has allergies or an immune deficiency, mold in their school shouldn’t be a concern. However, it is also possible to become sensitized to mold spores and develop allergies or other health concerns, even if you are not typically sensitive to mold. Of course, you should always be aware of any symptoms of exposure to mold. This includes headaches, pressure between the eyes, respiratory infections and constant sinus problems. In fact, a local allergist noticed a significant rise in the number of children and teachers coming to him with many of these symptoms, all related to mold exposure after their schools were damaged by Hurricane Ivan and Hurricane Dennis in Florida’s Panhandle in 2004 and 2005. I doubt their symptoms were pointed out by their school district, but it seems there was a definitive cause and effect with the storm damage and rise in mold symptoms reported. If you believe your child is being subjected to mold at school it might be difficult to pin point where the mold is. Besides having your child see an allergist or pediatrician, as a parent you should be asking questions about where the mold is and what school officials are doing to remediate it. Some schools districts have ignored acknowledging they have a mold problem, which in some cases have caused litigation. 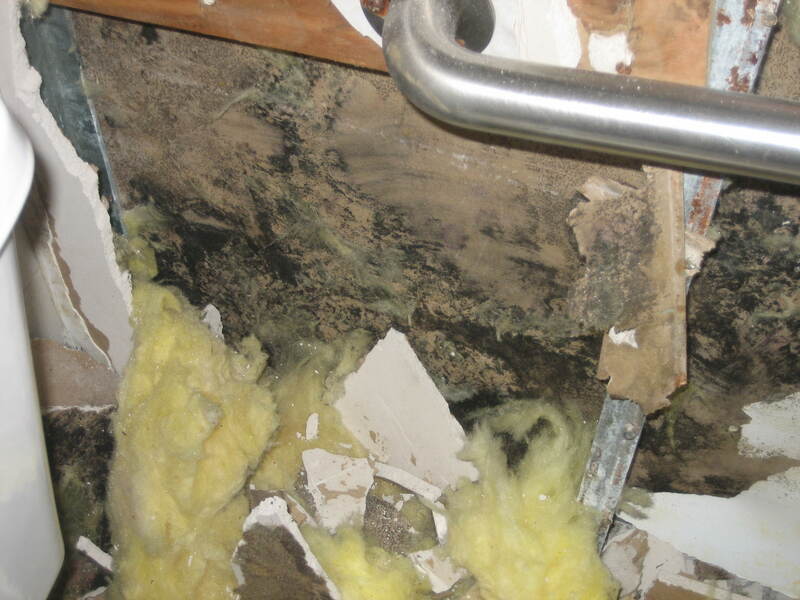 Mold can be very expensive to remediate, and it also opens the door to litigation if it can be proved the health of a student or teacher has been adversely affected due to mold. A preliminary report to the Broward School Board suggests a potential cost of $2.5 billion to renovate schools with a variety of maintenance problems, including millions for mold abatement. 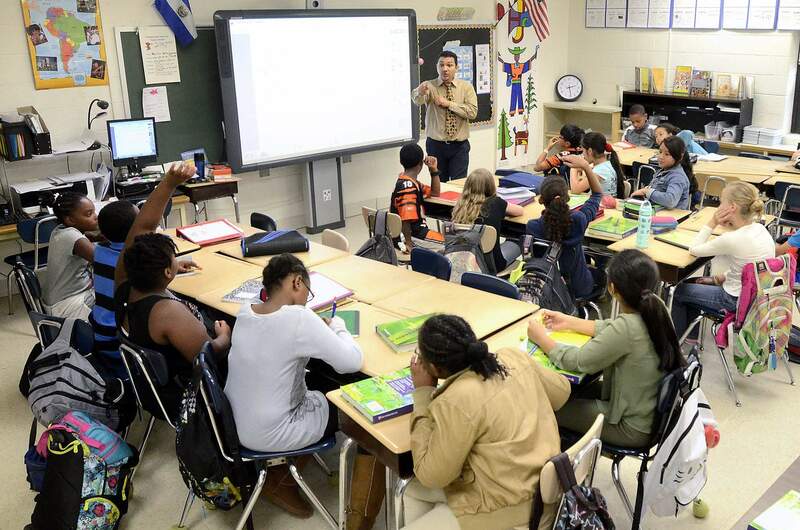 A capital improvement plan from late 1990’s committed $44 million to clean up mold problems in 155 schools over a five-year period, but an internal audit pointed up problems with meeting the plans goals. This is just one school district in Florida, albeit one of the largest, but there are 74 districts in Florida and countless of charter schools operating privately. School maintenance staff can prevent 95% of the mold by paying close attention to leaks (assuming they are discovered) by keeping every area free from moisture and checking the HVAC systems and vents for leaks. Other areas school maintenance staff should be always checking for roof leaks, even small ones. Sometimes small leaks can go undetected for long periods and moisture behind walls inside of drywall or cellulose materials will eventually develop mold. With school funding stretched more each year in Florida, ongoing maintenance and repairs also suffer from lack of adequate funding. Ask the school district for testing in your children’s school if you even suspect there might be a problem. With all the cost in mold repairs and the potential for lawsuits some school districts are starting to invest in ultraviolet (UV-C) systems which can eliminate, or completely reduce pathogens floating in the air. The process is called air ultraviolet germicidal irradiation, or UVGI. The technology has been around since the 19th century and has proven to disinfect and kill pathogens, including mold spores. Since contamination with bacterial and fungal spores poses a serious health risk for patients in hospitals, UV-C technology is being used in one form or another to sterilize the air. Since UV-C products are effective in hospitals treating airborne pathogens like MRSA and C-diff, it makes sense that they can also effectively treat air in classrooms. Instead of demolishing an entire school (in worst case scenario) or constantly fighting mold, which is so pervasive, a 2 x 2 troffer can be installed in the ceiling. The system, called the Purealizer, it can be installed in each classroom where there is mold to ensure the air quality is always safe from microorganisms such as mold. Using differential pressure, air is drawn into the unit and moved through a chamber where it is disinfected by UV-C light. Since the system operates continuously, 24/7, any mold or pathogen which becomes airborne can be effectively treated and recirculated back into the classroom. The Purealizer is a cost-effective solution to eliminate nosocomial pathogens, fungi and microorganisms such as mold. The patent-pending Purealizer could offer school districts around the country a cost-effective way to prevent illness in students suffering from exposure to mold. The technology is now being offered to school districts throughout the Southeast US who understand the importance of protecting students from the health risk associated with mold.